Currently viewing the category: "Domestic Sheep"
A Win for Bighorn Sheep in Montana! Last week, Western Watersheds Project and our allies scored one for bighorn sheep on the Beaverhead-Deerlodge National Forest of Montana. 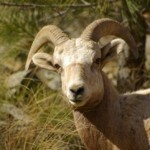 Bighorn herds in the Greenhorn Mountains were threatened by the agency’s failure to consider the impacts of domestic sheep grazing in the nearby Gravelly Mountains. 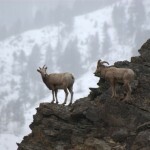 Bighorn Sheep Die-off in Montana Mountains, Nevada. Is it Any Wonder?